For this year,this is the 1st time i ever update this blog.. Waa,its a long time right? Its juz because i'm still someone who called student and I already finished my Diploma.. I'm taking my Degree now and its kind of some enjoy moment and also hard moment.. 1st year in Degree,I still can go through easier but we cant predict what will be happen next so juz prepare your umbrella before its raining.. Oh My English!! 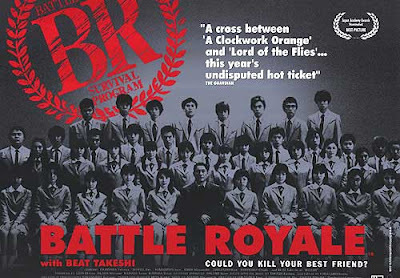 Haha.. Sory for my broken English.. Ok for my blog now,I want to share some Korean Movie called "Battle Royal". Anyone know about it? Its not a drama,its a movie..I like this movie after watch it only for once. Nice Movie btw. 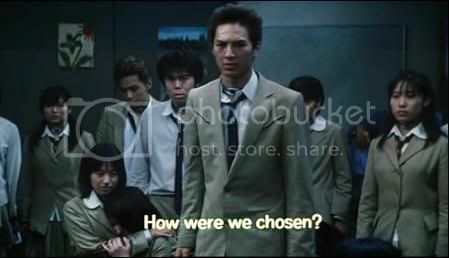 What is this movie about? As we can see,"COULD YOU KILL YOUR BEST FRIEND?"